Heilig-Geist-Spital, once a public hospital, on the river Pegnitz in Nuremberg illuminated by soft evening light. 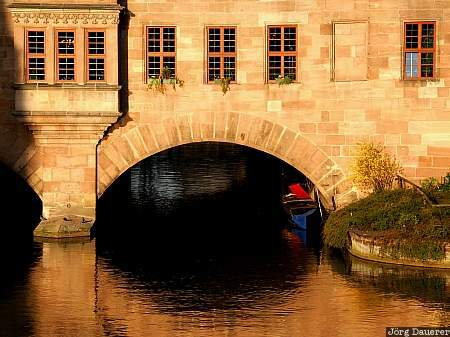 Nuremberg is the biggest city of Franconia in northern Bavaria, Germany. This photo was take on a sunny day in April of 2003. This photo was taken with a digital camera.